In a court case mounted with the Romance Writers of America, the Authors Guild has prevailed against Faleena Hopkins: The guild says authors can use the word ‘cocky’ in titles. 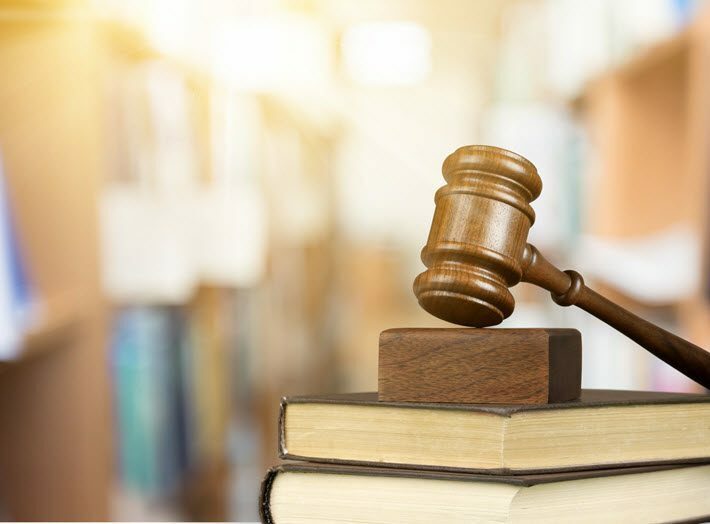 The Authors Guild and the Romance Writers of America (RWA) worked together in this case of legal advocacy for writers, defending the principle that no one should be able to own exclusive rights to use a common word in book or book series titles. In ruling against Hopkins—who had claimed exclusive rights to cocky for romance titles—Judge Alvin Hellerstein of the Southern District of New York, the guild tells Publishing Perspectives, stated that he did not believe that Hopkins was likely to succeed on the merits. Earlier this year, news of Hopkins’ trademarking of the word sparked initial amusement and wise cracks, followed by growing consternation in the American author corps: ‘CockyGate,’ as it was called by writers, began to look quite serious. Not only were authors reportedly taking cocky out of their titles out of fear of expensive litigation, but it was also said that another author was working to trademark the word forever. Despite the popularity of the word cocky among authors of romance book titles, the guild says, Hopkins this spring obtained the trademark registration for the word in connection with her series of self-published romance novels, each featuring one of her Cocker Brothers characters. She then, the guild says, tried to block the sale of books by other romance writers with titles that included the word. The interpretation of the legal team at the Authors Guild, which is led by executive director Mary Rasenberger, is that no one author should be able to prevent others from using a commonly-used word or phrase in book titles. The law, in the guild’s reading, is clear that an individual title cannot be trademarked—only series titles can—and that common words cannot be trademarked at all unless they develop an association in the minds of the public with a particular source, in this case a single author. “Cockiness (in all its permutations) remains as prevalent in romance novels as the use of stunning, scantily-clad models on their covers. “As such, consumers are well-accustomed to distinguishing one romance novel from another based on indicia of origin other than stock character traits like ‘beautiful,’ ‘passionate,’ or ‘cocky’; in particular, readers rely on the sine qua non of novel source-identification: the name of the author. When Hopkins’ trademark registration was issued in April, Hopkins sent notices to multiple authors, telling them to change the titles of their books and asked Amazon.com to take down all other cocky-titled romance books, not just series. Initially, the guild says, some authors did feel compelled to change their book titles. That’s when the Authors Guild took action to defend the authors whose books were targeted. The Guild and the RWA separately requested that Amazon put the books back up, since the trademark claims were disputed, and Amazon promptly complied. The two groups then jointly hired the Authors Guild’s outside counsel, Cowan Debaets Abrahams & Sheppard, to write a letter to Hopkins on behalf of Tara Crescent, author of another “Cocky” book series. Crescent is an Authors Guild member. 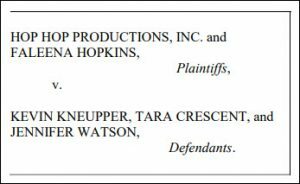 In response, Hopkins filed a lawsuit in the Southern District of New York against three people: Crescent, author and lawyer Kevin Kneupper (who challenged Hopkins’ trademark registration), and book publicist Jennifer Watson. The Guild’s attorneys prevailed in court last Friday, May 25, preventing implementation of the attempted temporary restraining order, then again today in a hearing on Hopkins’ motion for a preliminary injunction. Judge Hellerstein agreed and found that Hopkins was not likely to succeed on the merits because the word cocky is a common and weak trademark, there was no evidence of actual confusion, and romance readers are sophisticated consumers—meaning that they are not likely to confuse Hopkins’ and Crescent’s books. The guild’s court papers are here, filed jointly with attorneys for Kneupper and Watson. And a point of interest: while the roughly 10,000-member Authors Guild, founded in 1912, seldom litigates on behalf of individual authors, its administration says that it saw this case as an important issue for authors generally. “Authors should be able to express themselves in their choice of titles,” the guild says in its media messaging late on Friday.